It's rare that my personal and professional writing worlds collide. I'm a business editor by day, and while I enjoy it, it's very different from the babbles on this site. But a few month ago I had the opportunity to interview Bucketfeet founder Raaja Nemani, and while we mostly talked about his path to success (he went to school in Chicago! ), we also chatted about his company, and after we wrapped up the work stuff, we reconnected regarding blog stuff, and I'm excited to feature these Roadtrip shoes. Here's how Bucketfeet works: the company sells shoes featuring designs by artists from all over the world. It's a way for artists to share their personal stories with consumers. My pair are from Monasita, a young Ecuadorian graphic designer who specializes in bold patterns, bright colors and sharp lines. She's been drawing and painting since she was 8. How cool is that? There are so many cool designs to choose from (I was between the Roadtrip pair, these, these and these). 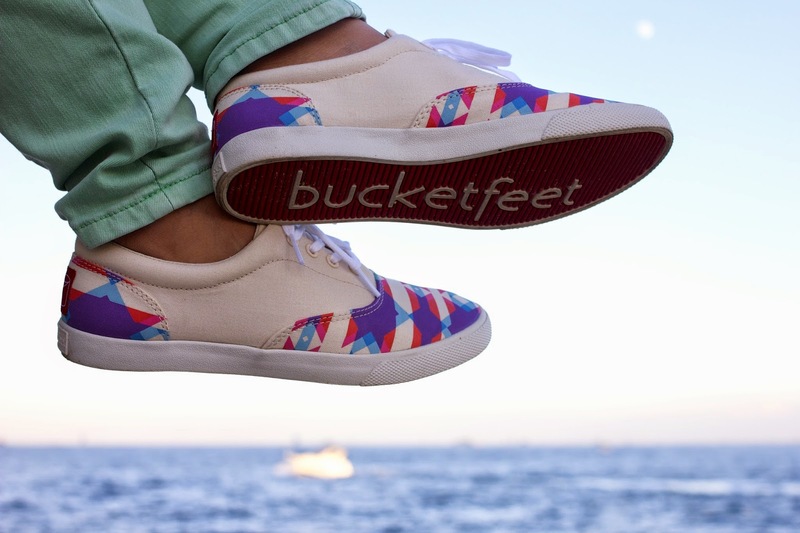 You can buy them online, at Bucketfeet retail stores or a variety of other shoe boutiques. Which pair would you choose? Wow, love those both. If I had to choose a pair for you I would have for sure chosen the nautical ones. /fat-sugar-women.html is a great piece of url.